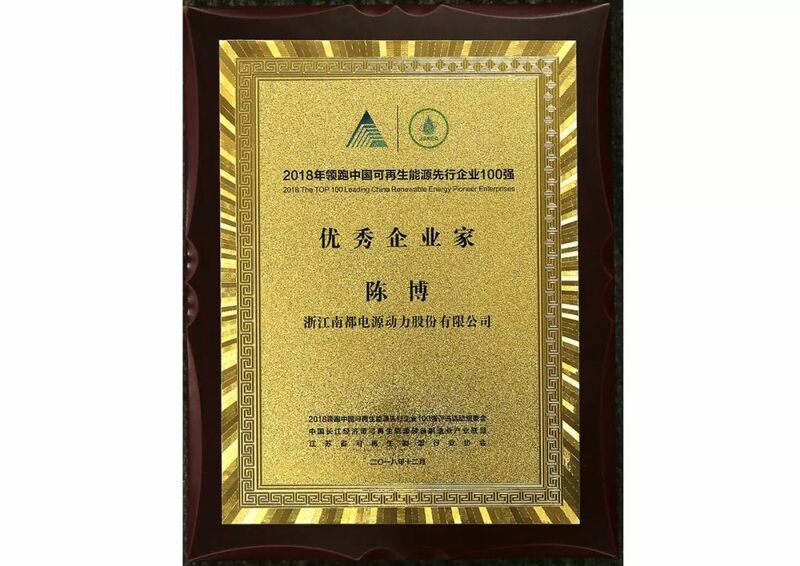 2018 The 8th session of the “One Belt and One Road” Distributed Energy Innovation Development Forum for the Yangtze River Economic Belt and the 2018 Leading China Renewable Energy Pioneer 100 Awarding Ceremony was held in Nanjing. Narada was invited as a representative of the outstanding renewable energy company and won two awards. As a global leader in the energy storage industry, Narada has stood out among many participating companies with its outstanding performance in terms of technological innovation, brand influence and market competitiveness. 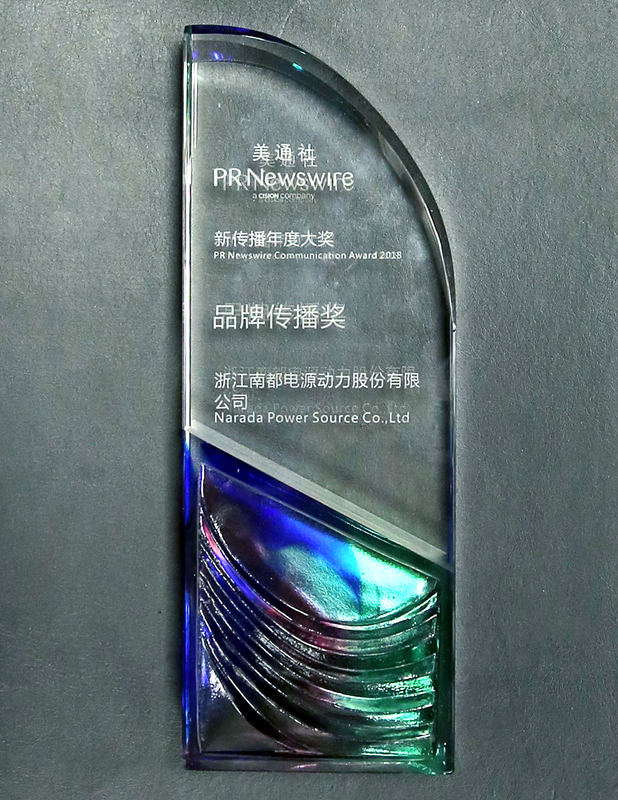 After receiving many honors of energy storage industries in 2018, Narada won the “Renewable Energy Storage Application Brand” award again. In the five-year period, Narada’s energy storage business realized the leap-forward development from battery to system to investment operation, and achieved rapid development in the field of distributed energy and energy Internet by building an energy management platform. Narada was awarded the title of “Excellent Entrepreneur” for its outstanding development. The selection activities centered on innovation, coordination, environmental protection, openness, and sharing of the five development concepts. The activities focused on promoting the supply-side structural reform in the renewable energy sector, stimulating the innovation and development strategy of the renewable energy industry, accelerating the transformation and upgrading, and promoting the new journey of high-quality development of renewable energy. A few days ago, the EU Africa-aid energy storage project that Narada participated in was officially put into operation. This photovoltaic off-grid project, which adopts the modular pre-installed energy storage power station solution provided by Narada, with plug-and-play function and direct access to local solar energy system. Because of the poor energy infrastructure in Africa, resulting in power instability and high losses, it has seriously affected local life and economy. In the villages where the project is implemented, only 15% of the population uses electricity, and most of the villagers make a living by fishing. Due to long-term power shortages, fishermen cannot store fish for a long time. The local economy and life are greatly affected, and the demand for electricity is very strong. 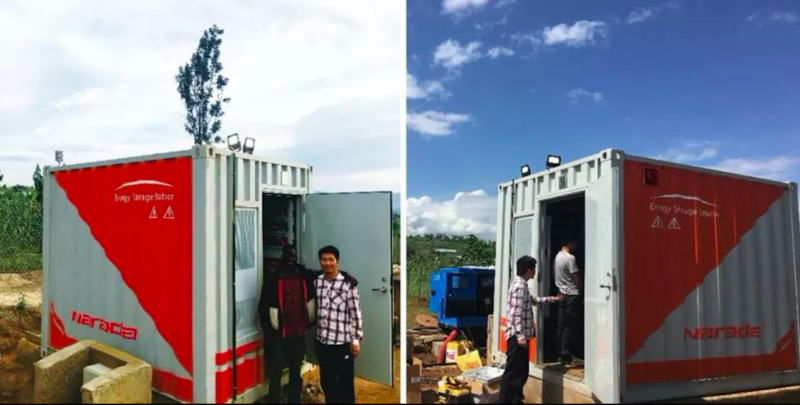 One site 200KW/400KWh energy storage system of this project can alleviate the shortage of electricity used by 500 local villagers, ensure the stability of power supply, and provide convenience for local life and economy. Narada continuously promoted the scale-up of commercial energy storage projects, and achieved breakthroughs in distributed energy storage on the user side, distributed energy storage on the grid side, and demand side response. This project will further promote the landing of Narada Energy Storage System in a variety of scenarios, which will have a profound impact on the future layout of Narada and promotion in the global energy storage market. 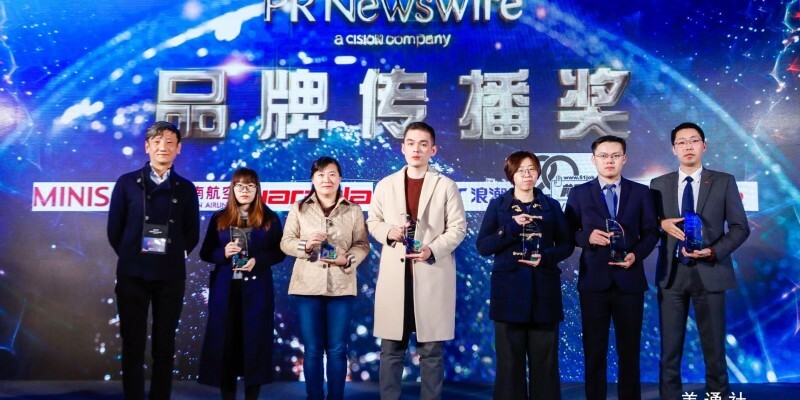 On December 13, the 7th “PR Newswire Communications Forum” and Corporate Communication Award was held by PR Newswire in Shanghai. 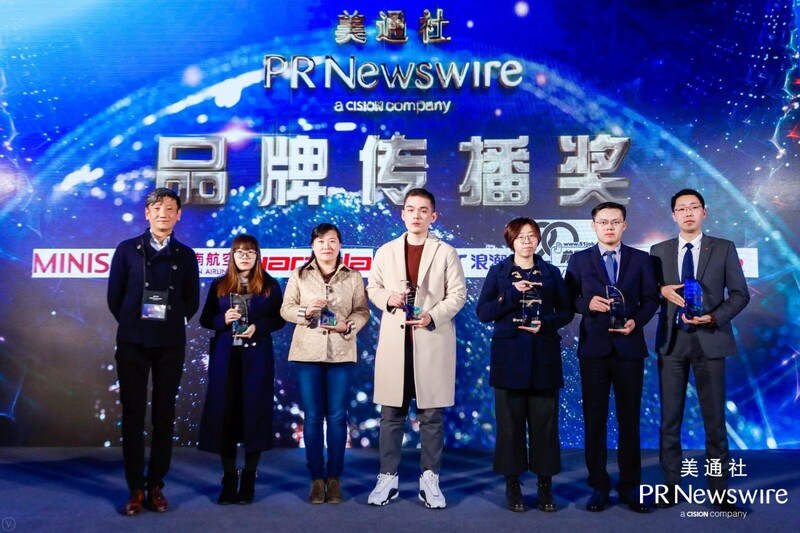 Narada was invited to participate in the forum with the influence of industry communication, and gathered together with the world’s authoritative media, public relations agencies and leaders of various industries to stand out in more than 3,000 trade companies and won the international “Brand Communication Award”. Narada has always had outstanding performance in international brand marketing communication and has been recognized by the industry. Narada has always had outstanding performance in international brand marketing communication and has been recognized by the industry. In the first half of 2018, Brand Finance, the UK’s leading brand value consulting company, released the “Brand Finance China 300” list in 2018. Narada was listed for the first time with the influence of brand value. 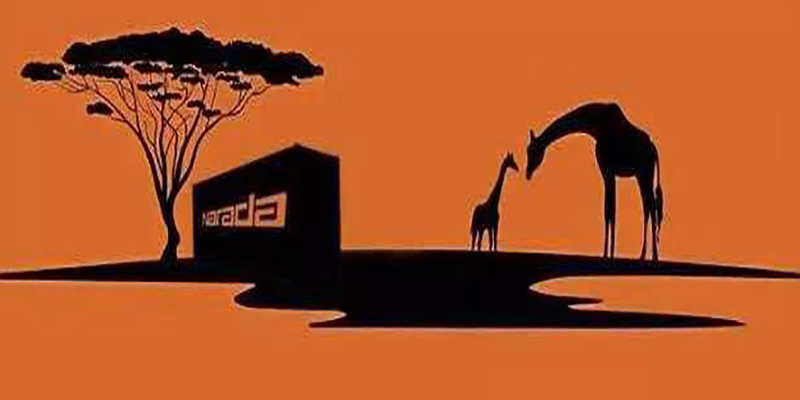 Narada’s products are sold in 158 countries, the international influence is rising, and the industry status is constantly improving, and its business areas span four major industries of communication, energy storage, motive and data center, making “NARADA” internationally renowned, which is the headline of many international industry media. 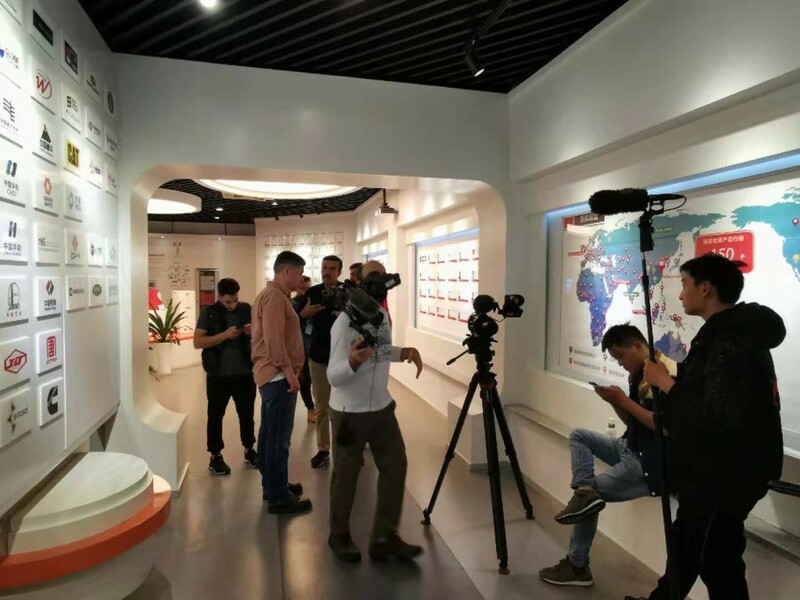 Recently,Qatar Television made a special trip to Narada to film the fourth season documentary of the “In the step of Travelers”, showing the ever-changing Chinese battery manufacturing benchmarking company – Narada. Since 2003, Narada has been actively deploying overseas markets, and the products are sold in 158 countries all over the world. NARADA has become an international well-known brand. Eight years ago, Narada expanded business to Qatar and has been a strategic partner of Qatar’s largest communication operator—Ooredoo. Narada has developed a total power solution for its multiple national subnets by using high-temperature batteries and other energy storage batteries, which have been highly recognized by customers. Narada’s high-temperature battery is designed with its patented excellent anti-corrosion alloy technology, unique electrolyte additives, special high temperature resistant shell material and advanced pressure and impact resistant structure. It can be used at high temperature and solve the problem of fast decay of battery’s life in the local high-temperature environment effectively. Qatar Television hopes to showcase the production base and R&D center behind the well-known brand NARADA to Qatar and the Arab region people to explore the mystery of Narada’s rapidly development. 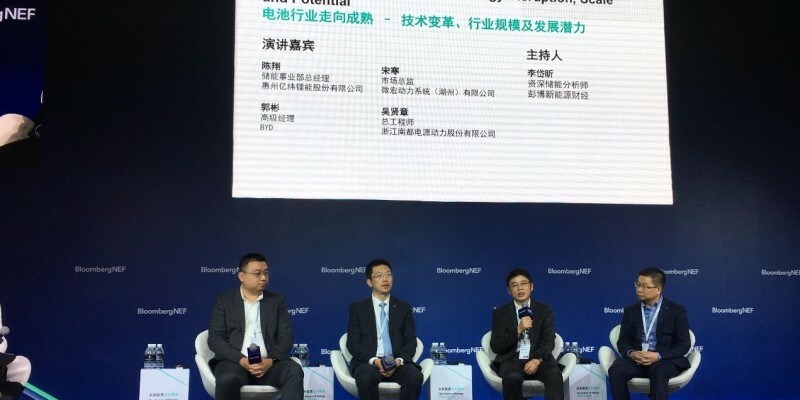 From November 27th to 28th, the Future of Energy APAC Summit hosted by Bloomberg New Energy Finance (BNEF) was held in Shanghai. At the important node of the industry’s transformation and development, a large number of industry elites and professional scholars have gathered together to make suggestions for the future development of new energy in China and even Asia. As the global leader in the green smart energy industry, Wu Xianzhang, chief engineer of Narada, was invited to attend the summit. 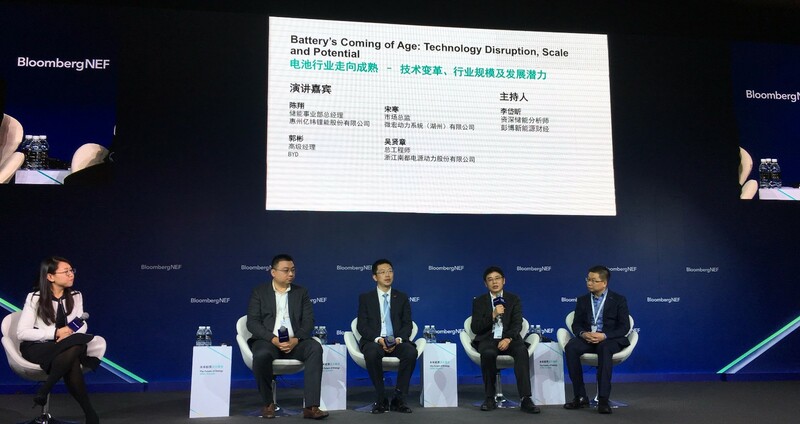 Mr. Wu Xianzhang talked about the achievements of Narada in the field of high-end industrial batteries in the theme forum of “Battery’s Coming of Age: Technology Disruption, Scale and Potential (Plenary)”, and discussed the future development direction of China’s battery industry and the innovation trend of battery technology. When asked about the development trend of power lithium battery technology, he said that there are many technical routes in the industry, and any route may have a breakthrough in technology in the future, but it needs to reach technology to achieve commercialization. Economic, this requires the synergy of the industrial chain. Although the new generation of high-energy power battery systems such as lithium-sulfur, lithium-air and all-solid-state batteries started late, the development momentum is rapid, and it is possible to achieve leap-forward development in the future. He also said that Narada is actively developing the lithium battery market for civilian power lithium batteries and new energy vehicles, actively exploring the use of lithium elevators, conducting lithium-ion battery recycling and new materials business, and improving the layout of the lithium battery industry chain. 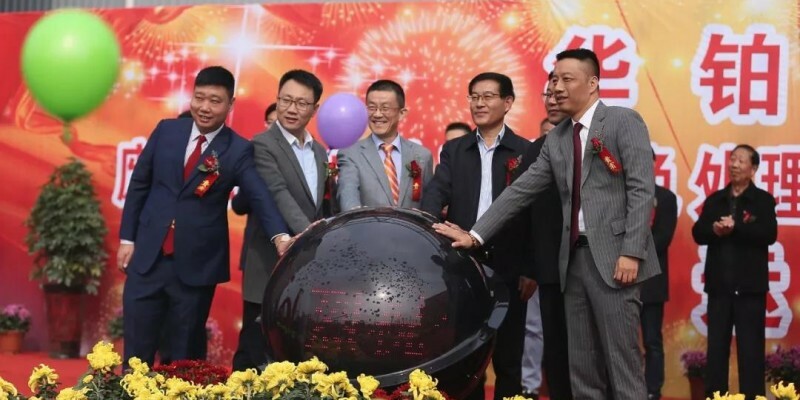 Speaking of energy storage battery technology, Wu Xianzhang mentioned that Narada is one of the few companies in the world that has mastered the core technologies of lead-carbon and lithium-ion energy storage batteries, and is a leader in the energy storage industry of the world. Users can select the corresponding technical solution according to different application scenarios and power backup time. The hybrid energy storage system of lithium-ion battery and lead carbon battery of Narada, taking into account the energy and power requirements of the energy storage system, can meet the peaking and frequency modulation requirements. It achieves a fast response and reduces the initial input cost by at least 50% compared to pure lithium battery systems, which is highly praised by users. 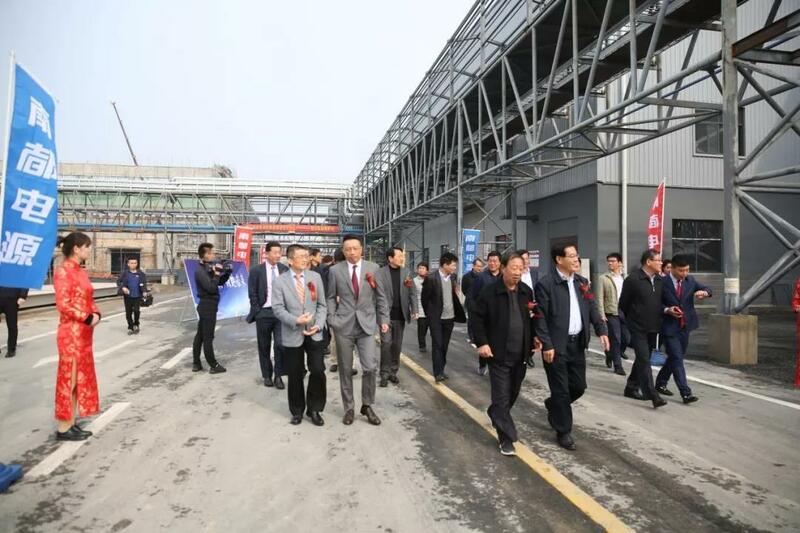 On November 11th, the high-efficiency green treatment and comprehensive recycling project of Huabo Technology’s waste lead battery was held in Jieshou City, Anhui Province. 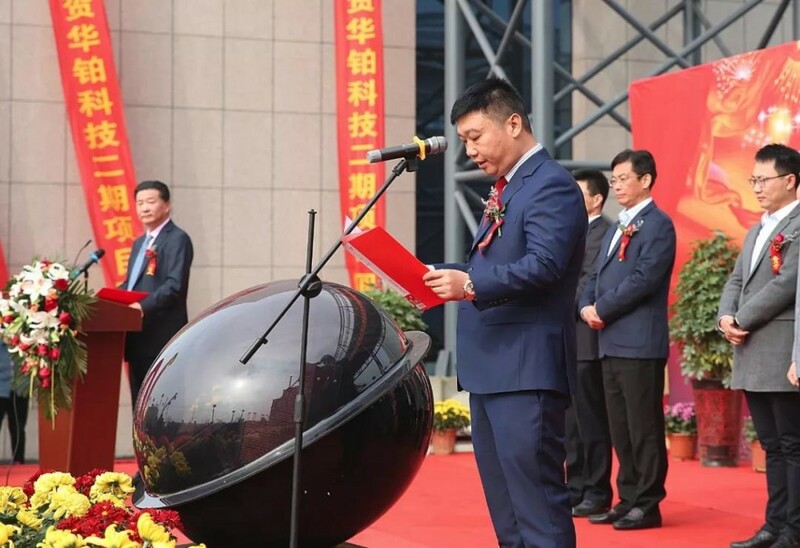 Wang Xianyi, deputy mayor of Fuyang City, Xu Huidong, secretary of Jieshou Municipal Party Committee, He Fengyang, mayor of Jieshou City, Wang Haiguang, chairman of Narada, Chen Bo, president of Narada, Zhu Baoyi, vice president of Narada, and Lin Shengkuan, general manager of Bank of China Zhejiang Branch, as well as the leaders of the city government, the main leaders , investors, customers of Narada and other news media attended the commissioning ceremony. As a key construction project in Anhui Province, the high-efficiency green treatment and comprehensive recycling project of Huabo Technology’s waste lead battery has been highly valued and strongly supported by the state, province, city and ministries since the construction began in July 2017. After 13 months of construction, the production line of the high-efficiency green treatment and comprehensive recycling project of Huabo Technology’s waste lead battery with the largest scale, most advanced technology, highest degree of automation and the most environmental protection level has been built, which has created a new milestone in the history of Narada. Mr. Zhu Baoyi said that after the project is put into production, Huabo Technology’s waste lead battery will have a total processing capacity of 1.2 million tons per year, which will become the world’s largest lead resource recycling plant. 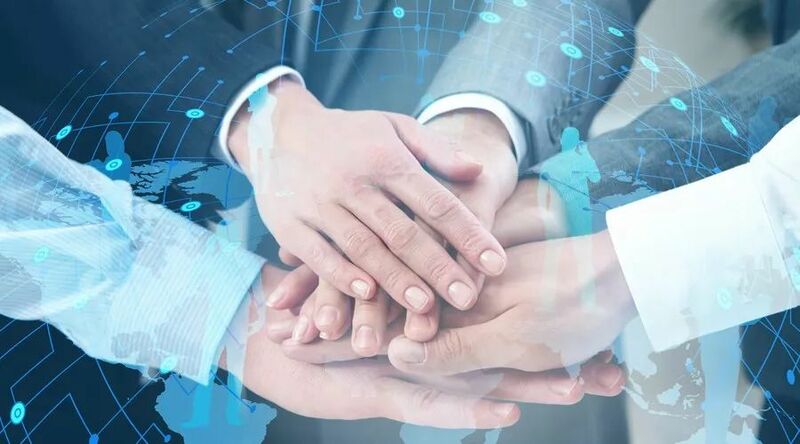 Huabo Technology will make a greater contribution to the simultaneous and coordinated development of economic, social and environmental benefits. The CEO of Narada, Chen Bo expressed his gratitude and condolences to the hard work, dedication of the team. He hoped that all Narada people would learn and promote the spirit of Huabo Technology. After 24 years of development, Nrada has taken a leading position in the fields of smart energy storage, communication and IDC. The second phase of Huabo Technology will generate greater synergy with the company’s existing business and accelerate the strategic transformation of Narada. On October 25th, Huabo Technology’s high-efficiency green processing and comprehensive recycling and reuse demonstration project for waste batteries was announced to enter the trial production stage. After the completion of production, it is expected to provide more than 600 jobs to promote regional economic development. 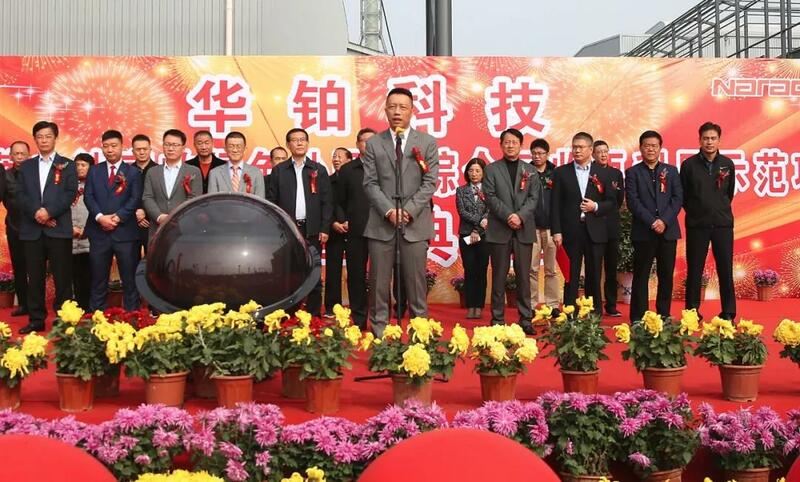 The project was invested by Narada and built in the Jieshou High-tech Zone of Fuyang City. The project covers an area of 158,667 square meters. After the project is completed, it can add 600,000 tons of used batteries and 66,600 tons of lead-containing waste every year. The annual output of new recycled lead exceeds 450,000 tons. The project adopts the international advanced pre-treatment automatic sorting process, combined with the lead-gate low-temperature melting casting system and the oxygen-enriched double-side blowing pool melting furnace system independently developed by Huabo Technology. It effectively solves the key technical problems of high comprehensive energy consumption and low comprehensive utilization of resources in the industry, and the recovery rate of metal and plastic can reach over 99%. The second phase construction project of Huabo Technology is an important platform for the layout of Narada New Energy Industry and the establishment of a closed loop of the industrial chain, which plays an important supporting role for the strategic transformation of Narada. 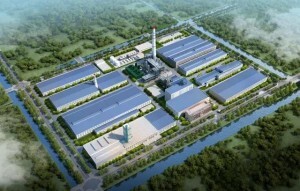 The project applies advanced, green and efficient production processes and equipment at home and abroad, adopts the most stringent environmental protection control system, realizes harmless treatment in the whole process, and builds the world’s leading green processing and comprehensive recycling production line for used batteries. After the production, Huabo Technology’s waste battery will have a total processing capacity of more than one million tons, becoming the world’s largest lead resource recycling plant. At the same time, the recycling and processing costs will further decline, and the profitability will increase, which will form a strong scale advantage. Narada Provincial Key Enterprise Research Institute passed the acceptance review of Science Technology Department of Zhejiang Province. 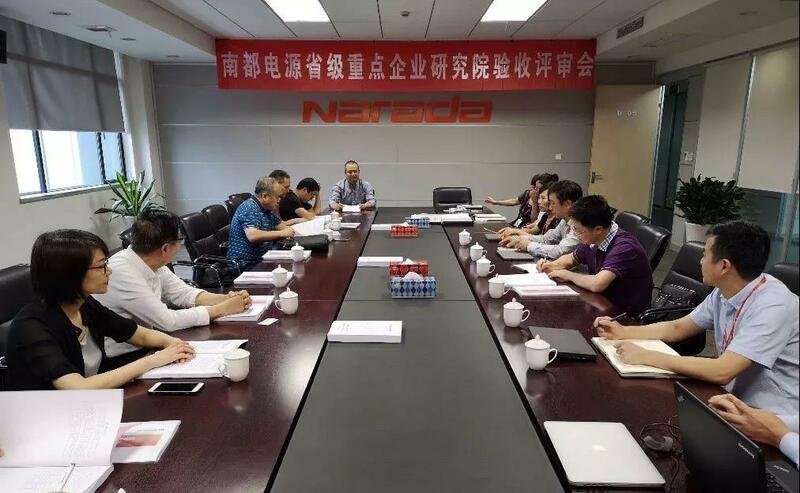 The Science Technology Department of Zhejiang Province organized an expert group to conduct on-site inspection and acceptance of the construction of the “Narada Equipment Electronics Research Institute”, which is based on the provincial key enterprise research institute established by Narada. 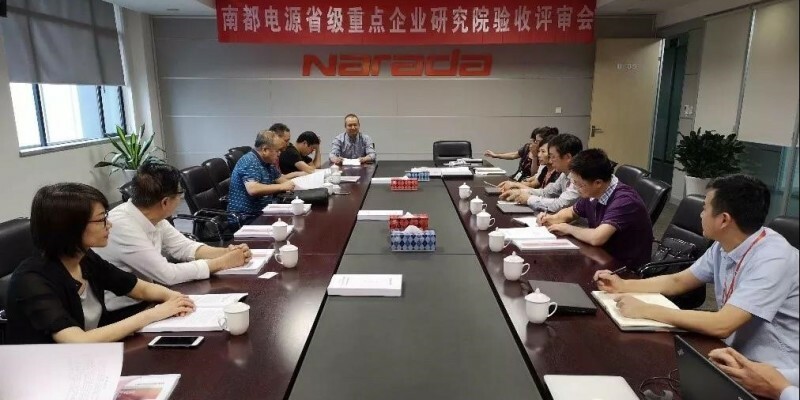 At the meeting, Wu Xianzhang, CTO of Narada, reported on the overall construction of the research institute’s operating mechanism, personnel training, research direction, results and applications. The expert group affirmed the achievements since the establishment of the Equipment Electronics Research Institute. It believes that the Institute has carried out original and high-level research, completed the various indicators and contents required by the responsibility book, and agreed to pass the acceptance. 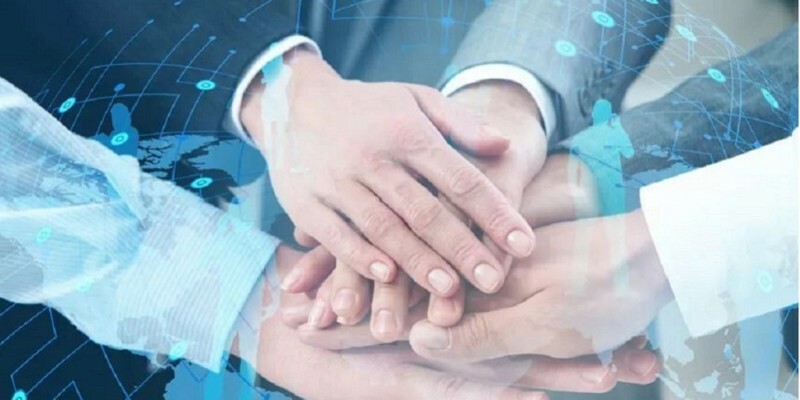 At the same time, the expert group hopes that the institute will further strengthen exchanges and cooperation with well-known enterprises and research institutes at home and abroad, conduct research on key technologies of the industry, and better serve local economic development. The Zhejiang Key Enterprise Research Institute is a pilot enterprise of industrial technology led by enterprises, which helps to enhance the technological innovation capability of enterprises and promote the transformation and upgrading of enterprises. September 20-23, The 2nd Global Future Travel Conference 2018 was held in Hangzhou. The conference integrates industry-related industrial system resources such as the world’s top think tanks, core companies and government management departments to jointly explore the development and innovation trends of the global future travel industry. 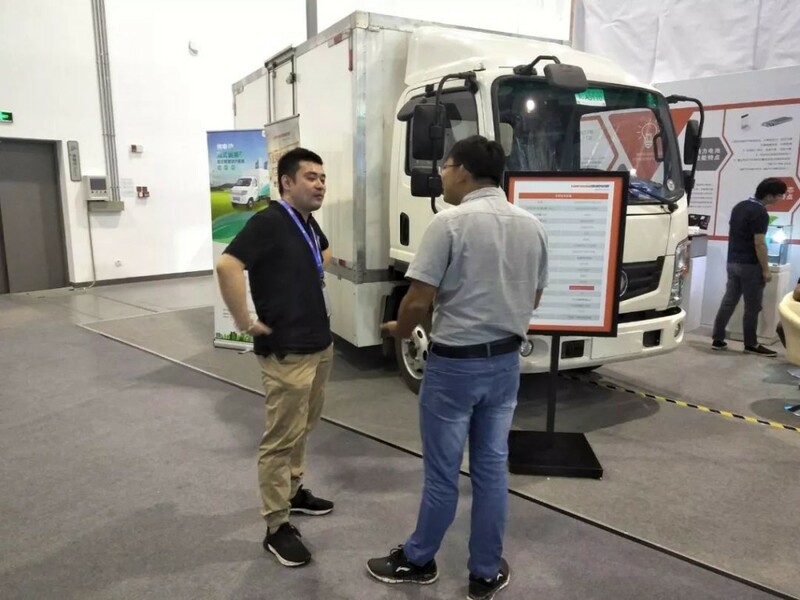 Narada exhibited a lithium battery system solution for renewable energy vehicles and a new 4.2-meter van developed jointly with Dongfeng Special Auto. The global automotive industry is ushering in a historic change. 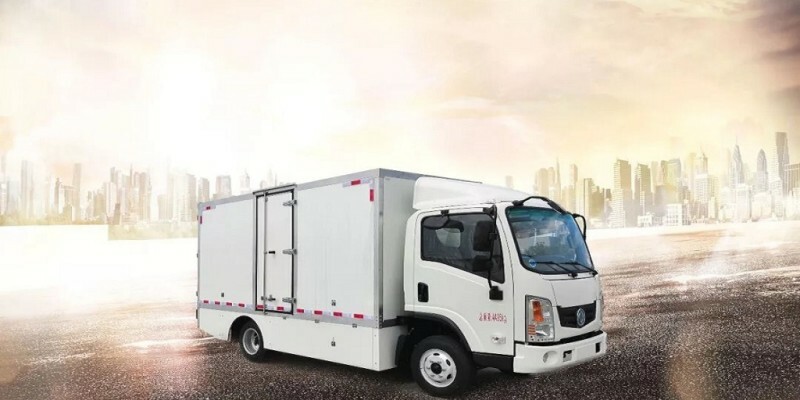 The Dongfeng 4.2-meter van, which is jointly developed by Narada and Dongfeng Special Automobile Company, has a full-load range of more than 200 kilometers. It is the best choice for city distribution, short-haul and special line transportation. 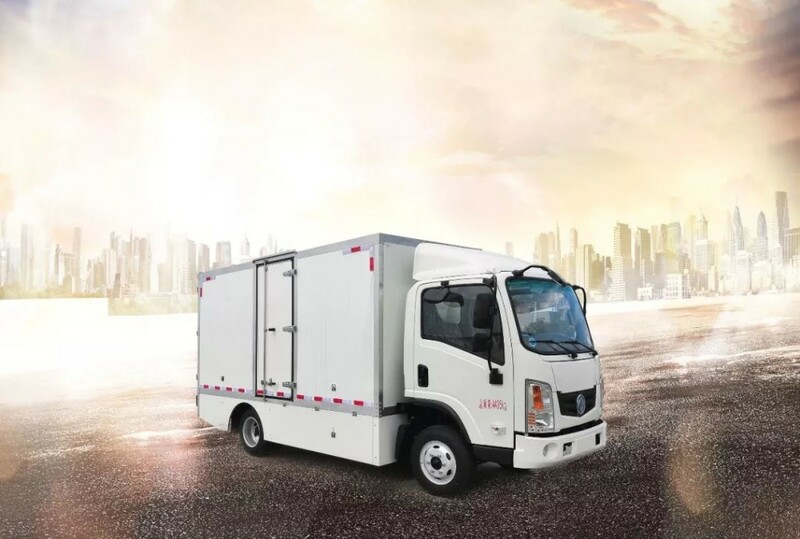 Narada pure electric truck lithium iron phosphate battery system equipped with trucks adopts 91.4Kwh power configuration, with excellent consistency, long cycle life and reliable connection between batteries. The battery design space has high utilization rate and high safety, while taking into account the later stage utilization. 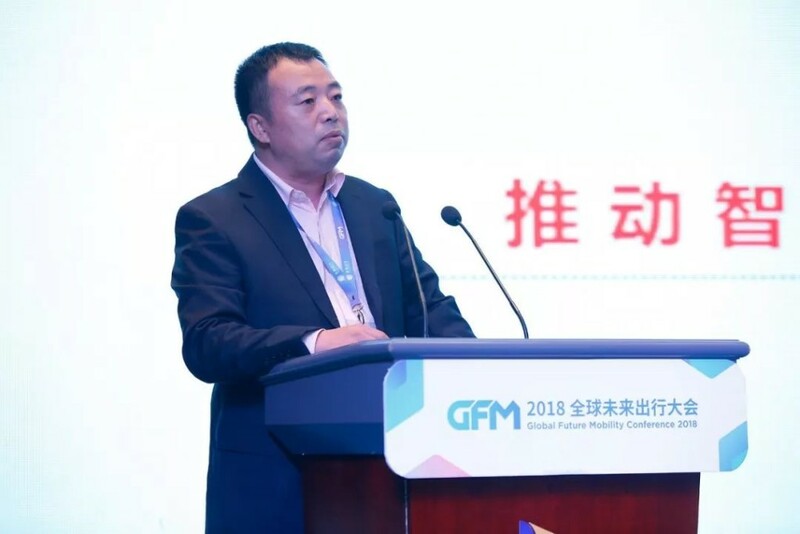 On the exhibition, Gao Kai, general manager of Narada Renewable Energy Vehicle Motive Power Division, delivered a speech entitled “Proposal for Renewable Energy Logistics Vehicle Operation Plan” on the global green logistics industry conference. He said that in recent years, more and more cities in China have imposed restrictions on traditional fuel vehicles, and the booming express delivery and other urban light goods businesses have formed a contradiction, which has led to the market demand for renewable energy logistics vehicles, but the cost of using renewable energy vehicles is still higher than that of traditional fuel vehicles. How to reduce costs has become the focus of attention. Gao Kai explained to the guests how to reduce the comprehensive use cost of vehicles through upstream and downstream industry cooperation, collaborative innovation, battery recycling, etc., which triggered a strong response. Recently, the List of Top 500 Chinese Manufacturing Enterprises 201 was released, Narada was listed for the first time with an operating income of 8.663681 billion yuan. With the continuous strengthening of innovation practice, Narada has emerged in various lists at home and abroad. 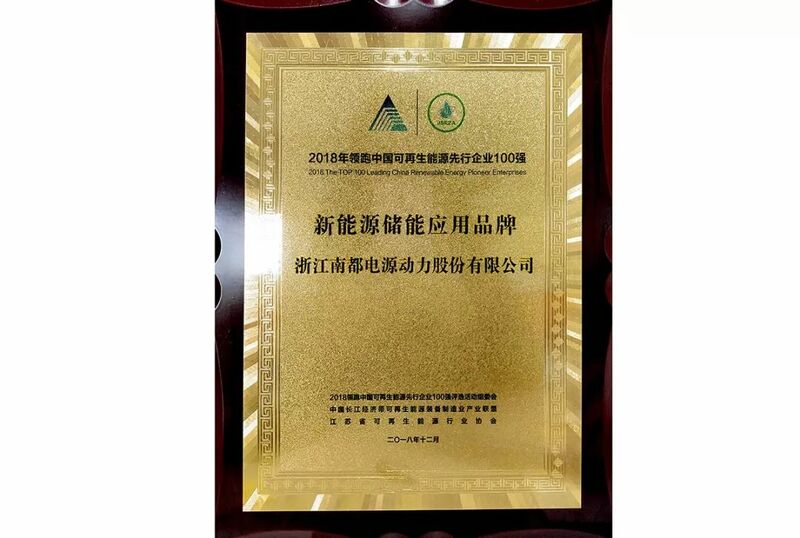 It is reported that this is the 14th consecutive release of the list of “Top 500 Chinese Manufacturing Enterprises” by the Chinese Enterprise Federation and the Chinese Entrepreneurs Association. The list is based on the business income of 2017. 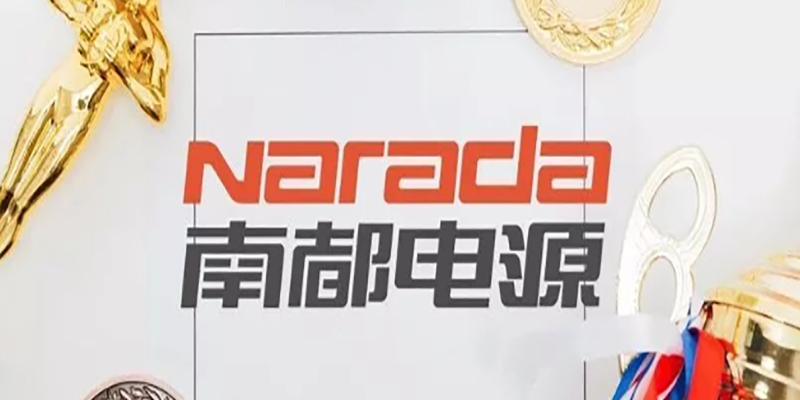 In 2017, Narada achieved business income of 8.637 billion yuan, business income and net profit increased by 20.94% and 15.65% respectively, which further consolidating the position of Narada as a global leader in high-end industrial batteries and a pioneer in the field of smart energy. 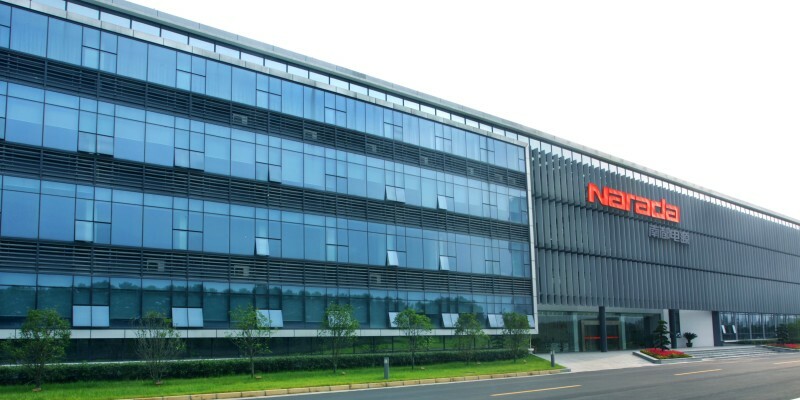 In recent years, Narada has deployed smart energy storage and green travel business actively, steadily developed telecom and IDC backup power business, and expanded the industrial chain through resource recycling, achieving rapid growth in performance. Narada on the list this time is the result of Narada’s insistence on carrying out all-round innovation and practice in the fields of market layout, business model, technology research and development, and management. Narada, established in 1994 in Hangzhou/China, has become one of the leading battery manufacturers and global battery suppliers of the world. The main business is the development, manufacturing, sales and service of communication backup, motive power and renewable energy storage batteries and accessories as also their system integration. Narada Asia Pacific Pte. Ltd.